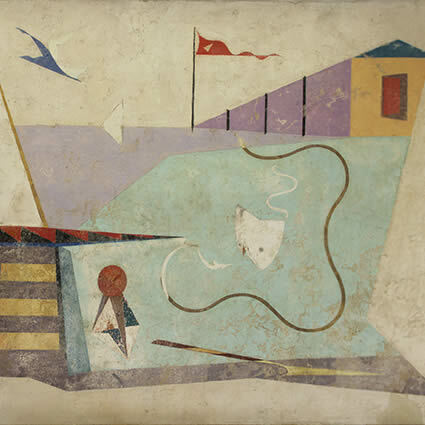 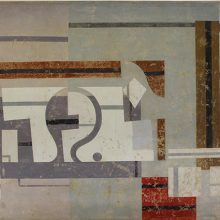 EverGreene investigated the possible existences of two WPA artworks, by artists Joseph Rugolo and Albert Swinden, originally commissioned for Goldwater Memorial Hospital. 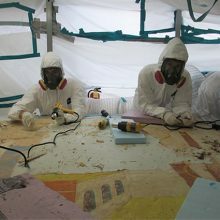 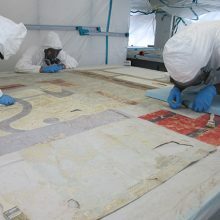 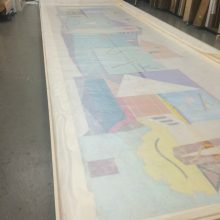 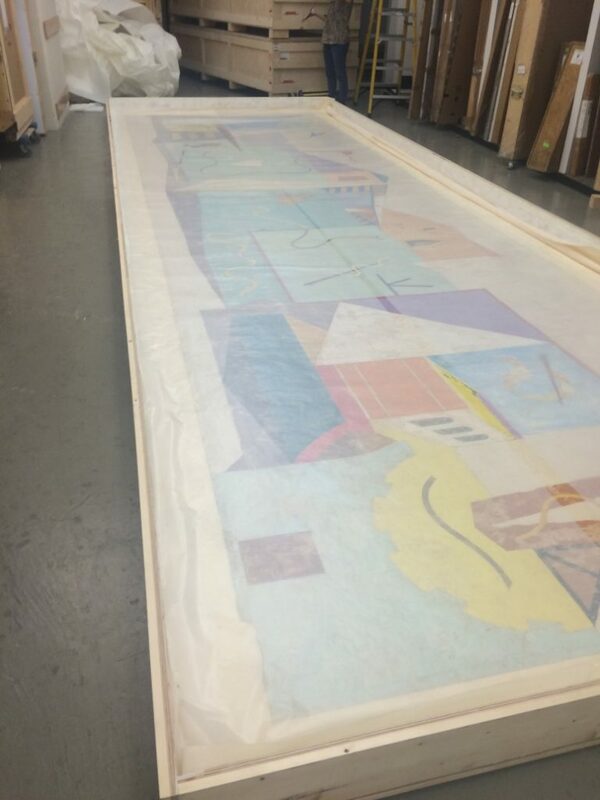 Conservators confirmed the location of the murals, assessed their conditions, then safely removed and conserved the historic murals. 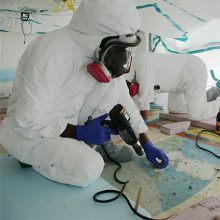 Once removed from the site, conservation began at EverGreene’s plaster studio, which had been converted into a negative-air chamber and lead-containment zone. 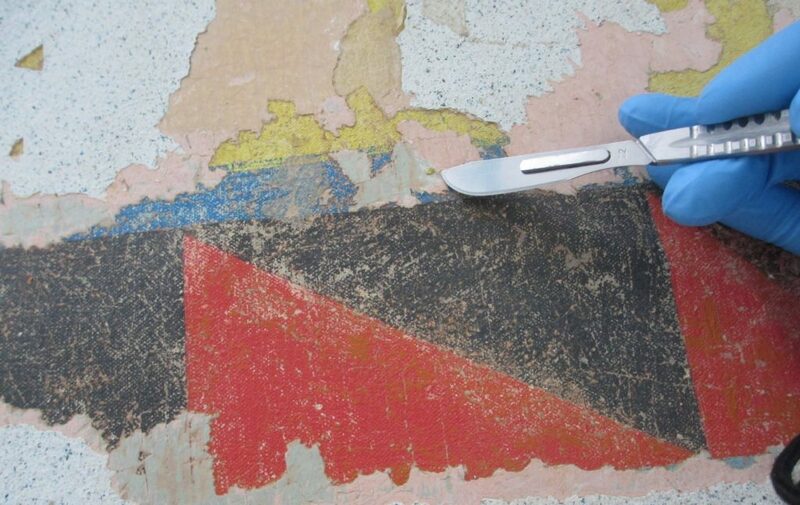 Conservators used both chemical strippers and hand tools to painstakingly remove the overpaint from the historic murals: scalpels and small blades proved most useful in the removal of certain areas of overpaint from the Swinden murals, while heat guns and wooden sculpting tools were effective in revealing the Rugolo artwork. 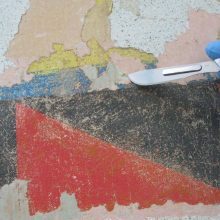 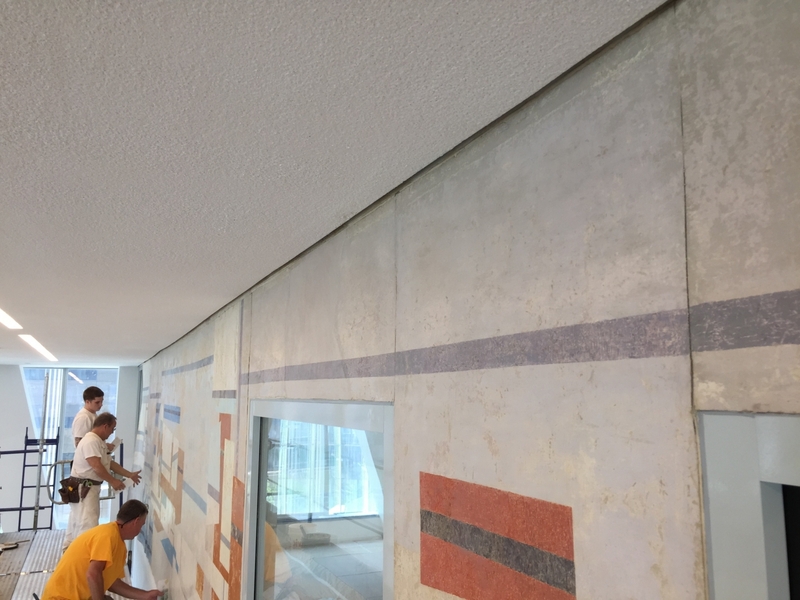 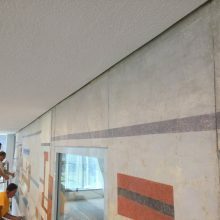 After the overpaint was removed, conservators began carefully inpainting areas of complete loss or damage to match the exisiting mural. Conservation paints were used to match the historic color palette of the artworks. 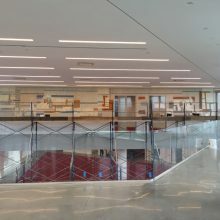 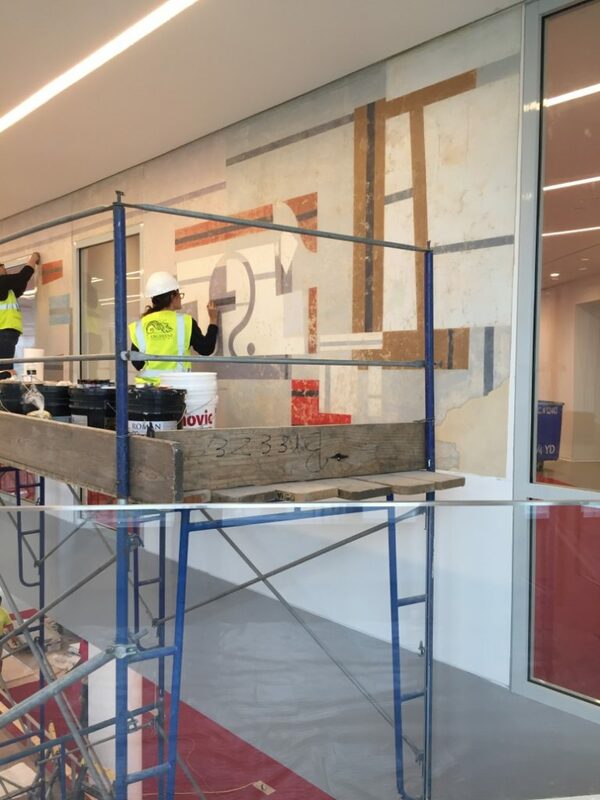 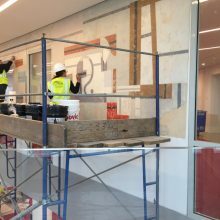 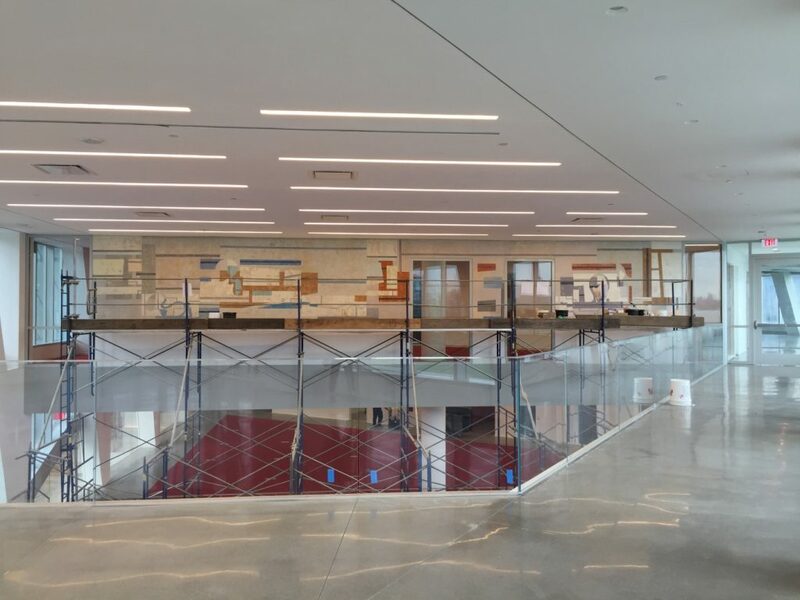 The mural relocation was completed in the Summer of 2017 within the new Cornell Tech campus.